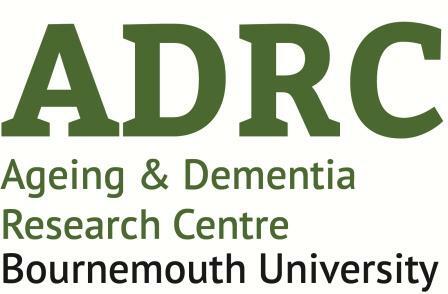 I have just spent the last month working with the team at the Ageing and Dementia Research Centre (ADRC) working on DEALTS 2, a training program commissioned by Health Education England that incorporates simulation, and aims to improve dementia training in acute settings at a national level. This month has been eye-opening, insightful, and above all exciting. I was firstly amazed by the amount of responsibility I was given by Michele Board, Jane Murphy, and Michelle Heward, who set me to work with analysing the data collected from DEALTS 2 workshops. Indeed, it is often thought that Research Assistants deal with the ‘back end’ of the project, which I can understand would make the task mundane. Nevertheless, with the varied roles and responsibilities, I soon felt immersed into the project. I was given the responsibility of putting together some preliminary findings to present at the Humanisation conference. 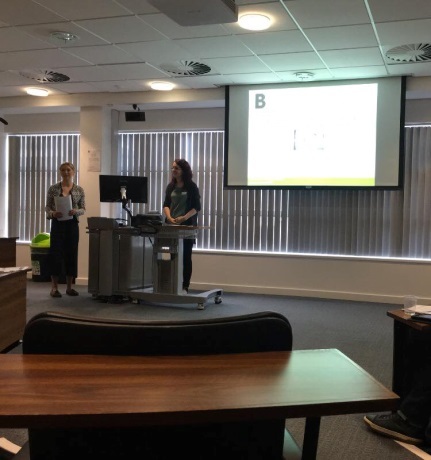 Not only was I given role of creating the slides, but I had the pleasure to present the findings at the conference with Michelle Heward. This was a fantastic opportunity to not only feel part of the project, but to increase my confidence, network with likeminded professionals, and feel part of an academic community. I was also lucky enough to travel to London to help deliver the DEALTS 2 train the trainer workshop to the dementia ‘trainers’. I was able to run through some simulations with the trainers, which again increased my passion and accountability for the project. The whole day was inspiring and highlighted the need for such a project from seeing its real world applicability. This has indeed supported my work in the office when conducting the literature review for the DEALTS 2 project, which we aim to publish in due course. Overall, this project has exceeded my expectations, and not once have I felt like an RA, but rather a team member. Working in the ADRC office has opened opportunities to learn from others, attend seminars with colleagues, and have a glimpse of what academia can be like. It has been a pleasure to work alongside a team who are so clearly passionate about ageing and dementia, which has certainly consolidated my desire to work in this field. I would highly recommend fellow students to consider summer RA positions because it not only allows you to apply the knowledge you have learnt throughout your degree, but it enables you to increase these skills in new and invaluable ways. Although my contract is over, I am not finished with DEALTS, and intend to continue to help the team publish the paper. I want to thank Jane, Michele, Michelle, and the rest of the team for giving me an insight into their world and providing me with such a fantastic experience. Although I am leaving Bournemouth University to do my masters in Occupational Therapy, I have no doubts I will work with the ADRC again in the future. Laurie has been an excellent student to work with, we were also fortunate to have her as part of our team. She’s been diligent and proactive, and its not a surprise that she secured a first in her degree in psychology. We wish her every success in the future.